The Vickers VC10 is a long-range British airliner designed and built by Vickers-Armstrongs (Aircraft) Ltd, and first flown in 1962. The airliner was designed to operate on long distance routes with a high subsonic speed and also be capable of hot and high operations from African airports. The aircraft is often compared to the somewhat larger Ilyushin Il-62 with which it shares a similar rear-engined quad layout, the two types being the only airliner designs with such a configuration. 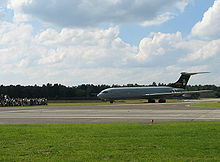 13 VC10s remain in service as aerial refuelling and transport aircraft with the RAF as of 1 June 2010. The initial concept of the VC10 was to provide a jet-powered airliner that could comfortably make use of the shorter runways commonly in use at the time. The performance of the VC10 was such that it achieved the fastest crossing of the Atlantic - London to New York, by a jet airliner, a record still held in 2009 for a sub-sonic airliner although beaten by the supersonic Concorde. Although privately owned, Britain's aviation industry had been government-managed in practice, particularly during the Second World War. Design and manufacture of transport aircraft had been abandoned in order to concentrate on production of combat aircraft with Britain's transport aircraft needs being met by the provision of US aircraft through Lend-Lease. In 1943 the Brabazon Committee introduced command economy-style principles into the industry, specifying a number of different types of airliners that would be required for the post-War years, though it assumed that US dominance in transport aircraft would translate into leadership in long range airliners and conceded in principle that the industry might have to cede the long-range market to US makers. During the 1950s the government required the industry to consolidate: in consequence only two engine makers were left by 1959: Rolls-Royce and Bristol Siddeley. In 1960, the British Aircraft Corporation (BAC) encompassed Vickers, Bristol, and English Electric's aviation interests, Hawker Siddeley built on de Havilland's heavy aircraft experience, and Westland consolidated helicopter manufacture. In 1977 BAC and Hawker Siddeley (by then also including Avro) were nationalised and merged to form British Aerospace. The British government controlled route-licensing for private airlines and also oversaw the newly-established publicly-owned British Overseas Airways Corporation (BOAC) long-range and British European Airways (BEA) short and medium-range airlines. These were subject to public interest as well as commercial advantage, thus BOAC served British Empire destinations across Southern Asia and Africa, many of them in remote and less-developed areas, commercially unattractive but politically, strategically and socially important. As had been the case for its interwar predecessor, Imperial Airways, BOAC was expected to operate British-designed and built, or at least British-powered, aircraft, their procurement bills being met by the Ministry of Supply. Several aircraft commissioned had been unsafe (Comet I), delayed (Britannia) or uncompetitively priced (Canadair North Star, Hermes) - or had all of these defects combined. This had strained relations between airlines and aircraft makers. In 1951 the Ministry of Supply asked Vickers-Armstrongs to consider a military troop/freight development of the Valiant V-bomber with trans-Atlantic range as a successor to the de Havilland Comet. The concept interested BOAC, who entered into discussion with Vickers and the RAF. In October 1952 Vickers were contracted to build a prototype which they designated the Type 1000 (V.1000), followed in June 1954 by a production order for six aircraft for the RAF. The planned civil airliner was known as the VC7 (the seventh Vickers civil design). The development period was extended as the company had to meet RAF requirement for short take-off and a self-loading capability. Work started on the prototype but by 1955 the increased weight of the aircraft required a more powerful engine. Then the government cancelled the RAF order in the 1955 round of defence cuts. Vickers and the Ministry of Supply hoped that BOAC would still be interested in the VC7 but they were reluctant to support the production of another British aircraft following delays in the Britannia programme and the crashes involving the de Havilland Comet. Though BOAC had ordered modified Comet 4s it saw the type as intermediate (the new Comet served the carrier for well under a decade). In 1956 BOAC ordered 15 Boeing 707s. These, however, were oversized and underpowered for BOAC's medium-range Empire (MRE) African and Asian routes, which involved destinations with "hot and high" airports that reduced aircraft performance, notably between Karachi and Singapore, and could not lift a full load from high-altitude airports like Kano or Nairobi. Several companies proposed a suitable replacement. De Havilland offered the DH.118, a development of the Comet 5 project while Handley Page proposed the HP.97, based on their V-bomber, the Victor. After carefully considering the routes Vickers offered the VC10. Picture - RAF Vickers VC10 from the rear, showing the position of its four engines. The VC10 was a new design but used some production ideas and techniques, as well as the Conway engines, developed for the V.1000 and VC7. It had a generous wing equipped with wide chord Fowler flaps and full span leading edge slats for good take-off and climb performance and its rear engines gave an efficient clean wing and reduced cabin noise. The engines were also further from the runway surface than an underwing design - of importance considering the nature of the African runways. Technology from the V.1000 and later Vanguard programmes included structural parts milled from solid blocks rather than assembled from sheet metal. The entire airframe was to be coated against corrosion. Planned flight-deck technology was extremely advanced, with a quadruplicated automatic flight control system (a "super autopilot") intended to enable fully-automatic zero-visibility landings. Capacity was up to 135 passengers in a two-class configuration. Vickers designer Sir George Edwards is said to have stated that this plane was the sole viable option unless he were to reinvent the 707 and, despite misgivings on operating cost, BOAC ordered 25 aircraft. Vickers calculated that it would need to sell 80 VC10s at about �1.75 million each to break even so, apart from BOAC's 25 another 55 remained to be sold. 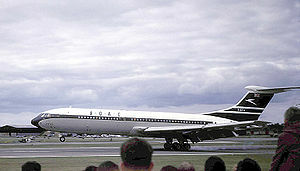 Vickers offered a smaller version (the VC11) to BEA for routes like those to Athens and Beirut but this was rejected in favour of the Hawker Siddeley Trident. Vickers revamped its production plans to try to achieve break-even point with 35 sales at �1.5 million each, re-using jigs from the Vickers Vanguard. On 14 January 1958 BOAC increased its order to 35, with options for a further 20 aircraft, all with smaller 109-seat interiors and more first-class seating so, as orders from BOAC alone now allowed break-even, the use of the Vanguard jigs was abandoned and new production jigs made. BOAC had calculated that the Boeing 707 cost �4.10 per passenger-mile while the VC10 would cost �4.24. This information was leaked, reputedly with the loss of several foreign orders. The difference brought calls to cancel the order in favour of the 707. The VC10 was rescued by the British government and in order to offer more economy Vickers began work on the Super 200 development of the VC10 with more powerful Conway engines and a 28 feet (8.1 m) longer fuselage offering up to 212 seats, 23 more than the Boeing 707-320 series. By January 1960 Vickers was experiencing financial difficulties and was concerned that it would not be able to deliver the 35 VC10s without making a loss. It offered to sell ten Super 200s to BOAC at �2.7 million each only to find that BOAC was unconvinced it had a role for the already ordered 35 VC10s and doubted the airline's ability to fill all 200 seats. The government intervened again on Vickers' behalf with an order for Super 200s, placed on 23 June 1960. The Super 200 extension was cut down to 13 ft (3.9 m) for the final Super VC10 (Type 1150), the original design retrospectively becoming the Standard VC10 (Type 1100). As allowed in its contracts with Vickers, in May 1961 BOAC amended its order to 15 Standard and 35 Super VC10s, eight of the Supers having a new combi configuration with a large cargo door and stronger floor: in December the order was reduced again to 12 Standards. By the time deliveries were ready to begin in 1964 airline growth had slowed and BOAC wanted to cut its order to seven Supers. In May the government intervened, placing an order for VC10s to operate as military transports to absorb over-production. This lengthy, well-publicised trouble did much to erode market confidence in the type. BOAC chairman Gerald d'Erlanger and managing director Sir Basil Smallpeice resigned, defending the opinion that the national airline was a profit-making company, not a sponsor of indigenous aircraft designs (Smallpeice was later an ardent supporter of the Margaret Thatcher premiership). BOAC's incoming chairman Sir Giles Guthrie was also anti-VC10: he proposed that the Vickers programme should be shelved in favour of more 707 orders. The prototype Standard, G-ARTA, rolled out of the Weybridge factory on 15 April 1962. On 29 June, after two months of ground, engine and taxi tests, it flew to Wisley for further testing. By the end of the year two more had been flown to Wisley. A serious problem with drag appeared: to cure it Kx�chemann wingtips and "beaver tail" engine nacelle fairings were added and tested. Along with a reworking of the basal rudder segment (its scythe shape replaced by an angular design with an endplate for greater control effectiveness), this lengthened testing. The certification programme included visits to Nairobi, Khartoum, Rome, Kano, Aden, Salisbury and Beirut. A VC10 flew across the Atlantic to Montreal on 8 February 1964. By this point seven of the original 12 Standards were complete and the production line was preparing for the Supers. A Certificate of Airworthiness was awarded on 23 April 1964 and the plane was introduced to regular passenger service between London and Lagos on 29 April. By the end of 1964 all the production requirements had been fulfilled, Vickers (by this point part of the BAC) retaining the prototype. Super VC10s made a first flight on 7 May 1964. Although the Super was ostensibly a minor development of the Standard with an extra fuel-tank in the fin, testing was prolonged by the need to move each engine pair 11 in (27 cm) outboard. This major redesign was needed to resolve tailplane buffeting and fatigue issues due to thrust reverser operation. The two inboard engines could have thrust reversers installed at last, matching the 707. (Military VC10s also had this engine arrangement.) The Certificate of Airworthiness was awarded in March 1965. Super VC10 entered service on 1 April 1965. Later VC10 design developments included testing a large main-deck freight-door and fitting new wing leading edges featuring a part-drooped, four-per-cent chord extension over the inboard two thirds and a drooped, extended-chord wing-tip that allowed more economical high-altitude flying. (This mimicked the 1961 aerodynamics of the similar-looking but significantly different Il-62.) Further developments proposed included freighter versions, one with front-loading like the C-124 Globemaster II. Efforts focused on getting a BOAC order for a 250-seat "VC10 Superb", a move away from the VC10's initial MRE role into the area targeted by the DC-8 Super Sixties. The VC10 would have needed an entirely new double-deck fuselage, which raised emergency escape concerns, and the design failed to attract orders. A total of 12 Type 1101 VC10 (registered G-ARVA to G-ARVM) were purchased in 1964-65, followed by 17 Type 1151 Super VC10 in 1965-69 (G-ASGA to G-ASGP and G-ASGR). The VC10 became an immensely popular aircraft in the BOAC fleet, both with passengers and crew, being particularly praised for its low cabin noise level and comfort. BOAC (and later British Airways) obtained higher load factors with the VC10 than with the 707 or indeed any other aircraft of its fleets. Operational experience soon resulted in the deletion of the inboard thrust-reversers due to continued tailplane buffeting despite the engine repositioning. Two BOAC Super VC10s were lost in terrorist hijackings in 1968 and 1970. Ghana Airways ordered three VC10s in January 1961: two to be fitted with a cargo door, known as Type 1102s. The first (registered 9G-ABO) was delivered in November 1964 and the second (9G-ABP) in May 1965: the third was cancelled. Ghana Airways leased 9G-ABP to Tayaran Assharq Alawsat (Middle East Airlines; MEA), destroyed at Beirut during an Israeli raid in December 1968. The other, 9G-ABO, was retired from service in 1980. MEA also leased the prototype aircraft that Vickers had kept until 1965, leased from Freddie (later Sir) Laker's charter airline. British United Airways (BUA), ordered two combi versions (Type 1103) in 1964, receiving them in October that year. When BOAC ceased VC10 operations to South America BUA took them over, purchasing Ghana Airways' cancelled third aircraft in July 1965 (G-ATDJ, a Type 1103). The prototype aircraft (G-ARTA) was purchased from Vickers/BAC and converted from Type 1101 to Type 1109 in 1968. It was initially leased to Middle East Airlines but returned to British Caledonian (as BUA had become) in 1969. G-ARTA was damaged beyond economical repair in a landing accident at Gatwick in 1972 and the others were sold in 1973-74. G-ASIW saw further service with Air Malawi, being retired in 1979. G-ASIX was sold to the Sultan of Oman as VIP transport and was preserved at Brooklands upon its retirement in 1987. G-ATDJ went to the Royal Aircraft Establishment for equipment tests and was retired in 1980. Nigeria Airways had planned to buy two VC10s but had to cancel the order for financial reasons; it leased BOAC G-ARVA from 1969, but it was destroyed in a landing accident at Lagos in November that year. The final VC10 was the one of five Type 1154 Super VC10 built for East African Airways between 1966 and 1970 (registered 5X-UVA, 5H-MMT, 5Y-ADA, 5X-UVJ and 5H-MOG). Of these, 5X-UVA was destroyed in a take-off accident at Addis Ababa in 1972, and the other four were retired in 1977 and returned to BAC, subsequently being purchased by the RAF. After 5H-MOG was delivered in February 1970, the production line closed, 54 airframes having been built. The 707 and Douglas DC-8, with their superior operating economics, had encouraged many of the world's smaller airports to extend their runways thus eliminating the VC10's main advantage. Marketing overtures were made elsewhere, particularly in Mexico, Argentina, the Lebanon, Thailand, Czechoslovakia, and Romania, often fronted by British politicians. In reminiscences some of these figures have claimed that BOAC staff actively sabotaged VC10 marketing by leaking confidential documents relating to the type's fuel consumption.) The final serious enquiry for VC10s came from Chinese state airline Zhōnggux� Mx�nyx�ng (CAAC) in 1971. It was confirmed in 1972 but by then the production equipment had been broken up. Czechoslovakia, Romania and China eventually purchased the Ilyushin Il-62 (for Czech Airlines, TAROM and CAAC, respectively). BOAC's successor British Airways began retiring its Super VC10s from Atlantic flights in 1974, mainly due to the 1973 oil crisis, and using them to displace standard VC10s. Ten of the eleven surviving standard models were retired in 1974-75. Of these, five were leased to Tayaran AlKhalij (Gulf Air) until 1977-78 then purchased by the RAF. One was leased to the Government of Qatar for VIP transport until 1981 when it was purchased by the RAF as an instructional airframe. Another went to the Government of the United Arab Emirates for similar purposes until retirement in 1981 and preservation at Hermeskeil, Germany. The other three were traded in to Boeing as part payment on new aircraft and Boeing scrapped them at Heathrow. The last standard VC10 in British Airways service, G-ARVM, was retained as a stand-by for the Super VC10 fleet until 1979. It was then preserved at RAF Cosford as part of the British Airways Museum collection. Its condition deteriorated (BA having withdrawn funding of the collection) and it was reduced to a fuselage in 2006 before being moved to the Brooklands Museum in order to create space for the new National Cold War Exhibition. Retirement of the BA Super VC10 fleet began in April 1980 with use continuing on less-travelled routes until 1981. After failing to sell them to other operators British Airways sold 14 of the 15 survivors to the RAF in May that year (the exception, G-ASGC, went for preservation at Duxford). This ended the type's airline service history. The VC10 served its intended market for a mere decade and a half. Fully written down and amortised by the 1970s, it could have continued in airline service much longer despite its high fuel consumption but high noise levels on departure and approach sealed its fate. Hush-kitting the Conways was considered in the late 1970s but rejected on grounds of cost. In 1960, the RAF issued Specification 239 for a strategic transport, which resulted in an order being placed by the Air Ministry with Vickers in September 1961 for five VC10s. The order was increased by an additional six in August 1962, with a further three aircraft cancelled by BOAC added in July 1964. The military version (Type 1106) was a combination of the Standard combi airframe with the more powerful engines and fin fuel tank of the Super VC10. It also had a detachable in-flight refuelling nose probe and an auxiliary power unit in the tailcone. The first RAF machine (known to the service as the VC10 C Mk. 1, often abbreviated to VC10 C1), was delivered for testing on 26 November 1965, with deliveries to No. 10 Squadron beginning in December 1966 and ending in August 1968. The VC10s were named after Victoria Cross (VC) medal holders, displaying the VC holder's name above the forward passenger door. One aircraft (XR809) was leased to Rolls-Royce for flight testing of the RB211 turbofan between 1969 and 1975. On return to the RAF it was found that the airframe had become distorted, due to the increase in power from the RB211 fitted to one side of the fuselage over the Conways fitted to the other side. It considered uneconomical to repair and was instead used for SAS training, before being scrapped. In late 1977, studies were started into converting redundant commercial VC10s into air-to-air refuelling tankers, with the RAF placing a contract with British Aerospace to convert five former BOAC (that had been operated by Gulf Air) Standard VC10s and four former East African Airways Super VC10s as air-to-air refuelling tankers. These were known in service as the VC10 K2 and VC10 K3 respectively. During conversion, extra fuel tanks were installed in what was previously the passenger cabin. These increased the theoretical maximum fuel load to 85 tons/77 tonnes (K2) and 90 tons/82 tonnes (K3); the fin fuel tank of the Super VC10 making the difference. In practice, the fuel load would be capped by the maximum take-off weight before the tanks are completely full. Both variants had refuelling pods mounted under the wings and a centreline refuelling point, known as a HDU, was installed in the rear freight bay. An in-flight refuelling probe was fitted on the nose, allowing fuel to be taken from the VC10, Victor or TriStar tankers. The K2s have since been retired and scrapped starting in 2000, and with ZA142 being the last to be dismantled in 2003. The K3s are due to be retired in 2014 but may be extended, fatigue hours permitting. In 1981, 14 former British Airways Super VC10s were purchased, and these were placed in storage and some were used for spare parts. In the early 1990s, five of the aircraft were revived and converted to VC10 K4 tankers. Upon examination prior to the first "major" in-depth servicing of the K4s it was discovered that there was extensive wing plank corrosion in the lower surface of the wings. This was attributed mainly to the storage method whilst held at RAF Abingdon, prior to conversion, whereby the wing tanks were defuelled but then filled with water, in order to add ballast to the aircraft during storage. This lead to an extensive wing plank corrosion rectification and in some cases plank replacement during subsequent major services. The K4 has identical refuelling equipment to the K2 and K3, but does not have any extra fuel tanks in the fuselage. 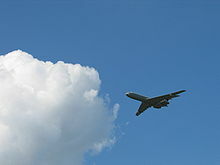 Its fuel capacity remains at 80 tons (70 tonnes), the same as a Super VC10. Around the same time, the 13 surviving C1s were also equipped with wing refuelling pods and re-designated as VC10 C1K dual-rx�le two-point tanker/transports. Again, no extra tanks were provided and the fuel load remains at 80 tons (70 tonnes). 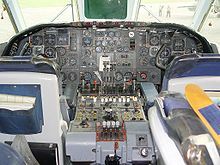 The in-flight refuelling probe was a feature of the original RAF aircraft, but it was removed for a period during the 1970s and 1980s due to lack of use. The probe was refitted sometime before the tanker conversions took place. Another one-time BOAC Standard VC10 was acquired as an instructional airframe/spare parts in 1981, having previously been leased to the Government of Qatar. A former BUA/British Caledonian aircraft was acquired by the MoD in 1974 and served with the Royal Aircraft Establishment (RAE) at Bedford. After retirement the fuselage was retained at RAF Brize Norton as an instructional aid for the Air Movements School. In 1982 VC10 C1s were part of the airbridge between RAF Brize Norton and Wideawake Airfield on Ascension Island during Operation Corporate, the campaign to retake the Falkland Islands. Beginning in 1996 a VC10 is continuously stationed with 1435 Flight at RAF Mount Pleasant. In 1991 9 K2s and K3s deployed to Bahrain, Saudi Arabia and Oman as part of Operation Granby, the campaign to remove Iraqi forces from Kuwait, during which they flew 381 sorties. In August 1992, aircraft XR806 suffered a flash fire in a wing fuel tank, whilst undergoing major maintenance and fuel leak rectification, by British Aerospace Contractor Working Party (CWP), in Base Hangar, at RAF Brize Norton. Two members of the CWP team received burns (one serious) as a result of this incident. The damage to the aircraft was classified as minimal, due to the fire being classed as a "Flash fire" and no follow-on combustion and the fast response of the emergency services. The aircraft was repaired and returned to service. In 1997, XR806 was damaged beyond economic repair in a ground de-fuelling accident at RAF Brize Norton, whereby fuel was drained from the wing & centre section fuel tanks, but not the rear fin tank. This resulted in an imbalance of the aircraft, making it tail heavy. The aircraft tipped backwards on its main undercarriage, with the tail of the aircraft crashing heavily onto the hard standing. This caused damage to the rear cone of the fuselage and lower sections of the rudder. Upon more detailed examination, it was found that the rear pressure bulkhead had suffered severe damage. The RAF considered a repair scheme, utilising a replacement rear pressure bulkhead from a donor aircraft (the fire trainer at Brize Norton), until an estimate of in excess of �2m was tabled by BAE Systems. VC10s allowed RAF Bruggen-based Tornado GR1s to strike Serbian targets during Operation Allied Force in 1999. Oman-based VC10s refuelled USAF and Marine Corps aircraft over Afghanistan as part of Operation Veritas. 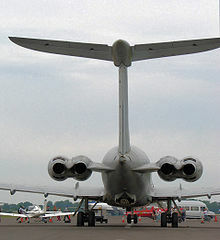 9 VC10s participated in Operation Telic, the UK's contribution to Operation Iraqi Freedom. Several other C1K, K2 and K4 aircraft have also been scrapped. The surviving airworthy VC10 C1Ks, K3s and K4s served as tanker/transports with No. 101 Squadron at Brize Norton, Oxfordshire and No. 1312 Flight at RAF Mount Pleasant, Falkland Islands, making the RAF the VC10's final operator. The VC10 and Lockheed TriStar tanker/transports are due to be replaced in RAF service by the Airbus A330 MRTT under the Future Strategic Tanker Aircraft Project; they are currently restricted to use as tankers, and will not be used beyond the end of the current 5-year support contract. In 2006 two VC10s were dispatched to Okinawa, Japan to undertake a lesser known role of the type; to collect nuclear debris tests using sampling pods replacing the refuelling pods. This was prompted by the North Korean nuclear test. All servicing, including minor, minor star and major servicing, of the RAF fleet of VC10s was undertaken at RAF Brize Norton, which also serves as the RAF's Main Operating Base (MOB). This took place in a purpose built hangar, known as "Base Hangar", built in 1969 and was considered the largest cantilever-roofed structure in Europe. Base Hangar is a quarter of a mile in length with no internal supports and the ability that when the full length hangar doors are fully opened provides a vast unobstructed area, where six VC10 aircraft can be positioned beside each other and still provide working space around the aircraft. During the late 1980s, the RAF/Mod considered moving the major servicing to RAF Abingdon, a short distance away from RAF Brize Norton, and the storage location of the future K4 aircraft. The decision to close RAF Abingdon as an RAF base, and transfer it to the Army's Royal Logistic Corps 7 Transport regiment put paid to this. Instead a purpose build hangar facility was built at RAF St Athan, in South Wales. This facility was known as "1 Air Maintenance Sqn" (1 AMS) and could take two VC10s side by side with a dividing wall between the two bays. Because of the design of the structure it was given the nickname "Twin Peeks". In August 1992, the pre-Dock Day (input date) meeting took place for the 1st aircraft to under go major service at this facility took place within 1 AMS. This meeting was interrupted with the news of the flash fire, at Base Hangar RAF Brize Norton of XR806. The first aircraft to undergo major servicing at the new facility entered Twin Peeks in January 1993. Due to the looming out of service date of the remaining VC 10 aircraft, in favour of the FSTA, the last aircraft to undergo major servicing left "Twin Peaks", RAF St Athan. At this point the "Twin Peaks" hangar was only operating one of the two lines for VC 10's the other line had been stripped of the dedicated staging and utilised for Tornado aircraft. It is envisaged that a similar fate will fall to the last remaining dedicated bay. Conversion to K Mk 2, K Mk 3 and K Mk 4 tanker role of the previous civil aircraft took place at BAE Systems Filton site. Because the K Mk 3's had a forward freight door this facilitated the insertion of five upper fuselage tanks in the main fuselage of the aircraft. In the case of the K Mk 2's, there was no forward freight door and it was required to dismantle a large section of the fuselage roof structure for the insertion of the five upper fuselage tanks. This proved to a mammoth task and for the K Mk 4 conversions, as with the K Mk 2 aircraft, there was no facility of a forward freight door. For this reason it was decided that there would be no internal refuelling tanks fitted to the K Mk 4s. In the case of the K Mk 2 & 3 conversions there was also extensive floor reinforcement required to accommodate the additional weight of the five tanks and fuel load. K Mk's 2 and 3 aircraft were classed as three point tankers, consisting of two wing mounted Hose Drum Units (HDU) and one centre fuselage HDU. VC10 C Mk 1 aircraft were supplied to the RAF in specific configuration of a forward freight door (as per the K Mk 3), the "super" VC10 wing (as per the K Mk 3 and 4) and the fin fuel tank. These aircraft did not have any ability to refuel other aircraft. During the late 1980s and early 1990s these aircraft were converted to C Mk 1 K standard of two point tankers with wing mounted HDUs under each wings. The C Mk 1's did not have any additional internal tanks and therefore did not require the strengthened flooring. The conversions were undertaken by FR Aviation Limited based at Hurn Airport, near Bournemouth. After the closure of the British Aerospace site at Hatfield, responsibility of design and all commercial activity transferred to British Aerospace (now BAE Systems) Manchester, Woodford and Chadderton sites. During the early 1990s Chadderton produced the majority of the detailed components, until a corporate decision to subcontract all detailed manufacture was taken in the mid 1990s. At this time the design team, led by Chief Design Engineer David Natham, transferred from Woodford to Chadderton. In 2003, responsibility for the commercial procurement of all spares items was undertaken by BAE Systems, Customer Solutions Services (CSS) based at BAE Systems Samlesbury, where it still remains to date. The Chadderton site still maintains responsibility for the MoD contracts for project managing modifications; major repairs and major maintenance are carried out at RAF St Athan. On 28 December 1968, Middle East Airways 9G-ABP was destroyed at Beirut Airport in the 1968 Israeli raid on Lebanon. On 20 November 1969, Nigeria Airways 5N-ABD (ex BOAC G-ARVA) crashed on landing at Lagos, Nigeria killing all 83 passengers and crew. On 27 November 1969, BOAC G-ASGK had a major failure of No.3 engine, debris from that engine damaged No.4 engine causing a fire. A safe overweight landing was made at Heathrow without any casualties. On 9 September 1970, BOAC G-ASGN was hijacked, and on 12 September was blown up at Zerqu Jordan, in the Dawson's Field hijackings. On 28 January 1972, British Caledonian G-ARTA was damaged beyond economic repair in a landing accident at Gatwick. On 18 April 1972, East African Airways Flight 720 5X-UVA crashed on take-off from Addis Ababa, Ethiopia killing 43 of the 107 passengers and crew. On 3 March 1974, BOAC G-ASGO was hijacked and landed at Schiphol, Netherlands, where the aircraft was set on fire and damaged beyond economic repair. In November 1974, British Airways Flight 870 from Dubai to Heathrow was hijacked in Dubai, landing at Tripoli for refuelling before flying on to Tunis. One hostage was murdered before the hijackers eventually surrendered after 84 hours. Captain Jim Futcher was awarded the Queen's Gallantry Medal, the Guild of Air Pilots and Air Navigators Founders Medal, the British Airline Pilots Association Gold Medal and a Certificate of Commendation from British Airways for his actions during the hijacking, having returned to the aircraft to fly it knowing the hijackers were on board. On 18 December 1997, Royal Air Force XR806 was damaged beyond economic repair in a ground de-fuelling accident at RAF Brize Norton. A VC-10 purchased for use as Air Force One is the subject of the Robert J. Serling novel, The President's Plane is Missing. Andrews, C.F. and Morgan E.B. Vickers Aircraft since 1908. London:Putnam, 1988. ISBN 0 85177 815 1. Benn, Tony, The Tony Benn Diaries 1940-1990, Arrow, UK, 1996, ISBN 0-09-963411-2. Cole, Lance, Vickers VC10, The Crowood Press Ltd, Ramsbury, UK, 2000, ISBN 1-86126-231-0. Donald, David (editor). The Encyclopedia of Civil Aircraft. London: Aurum Press, 1999. ISBN 1-85410-642-2. Green, William. Aircraft Handbook. London. Macdonald & Co. (Publishers) Ltd., 1964. Henderson, Scott, Silent, Swift, Superb: the Story of the Vickers VC10, Scoval, UK, ISBN 1-902236-02-5. Jackson, A.J. British Civil Aircraft 1919-1972: Volume III. London: Putnam, 1988. ISBN 0 85177 818 6. "VC 10: Transport to Tanker". Air International, October 1980, Vol 19 No. 4. Bromley, UK:Fine Scroll. ISSN 0306-5634. pp. 159-165, 189. Willis, Dave. "Aircraft of the RAF-Part 2: Vickers VC10".Air International, May 2008, Vol 74 No. 4. Stamford, UK:Key Publishing. ISSN 0306-5634. pp. 56-60.